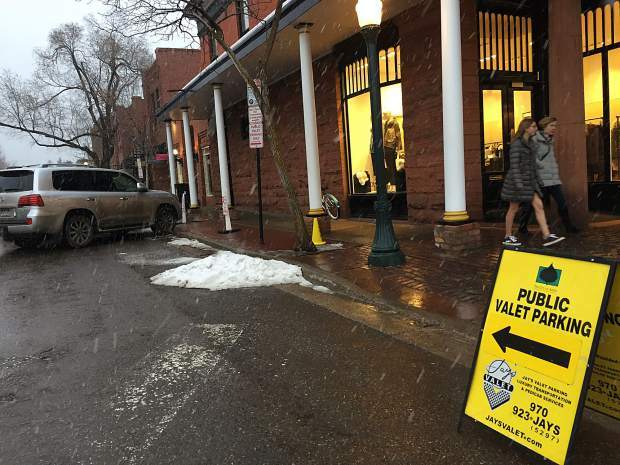 Daytime valet parking is coming to downtown Aspen in an effort to free up spaces in the commercial core during peak times. 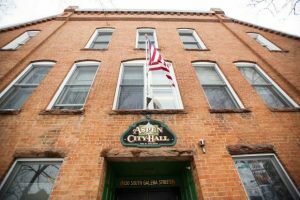 The service, offered by the city of Aspen’s new provider, Ameristar Parking Solutions (APS), will begin Friday, said Mitch Osur, the city’s director of parking. The cost will be roughly the same as what it costs at the meter, and during peak times, it will be lower. Introductory rates are $12 for the first two hours, $3 for additional hours and $18 for a maximum daily rate. Daily service begins at 11 a.m. Nighttime valet service also will be available at a flat rate of $12 after 5 p.m. until midnight. The city signed Florida-based APS on for a three-year contract after a request for proposals went out earlier this fall. APS won out over Denver-based Jay’s Valet, which had been providing valet service for the past 10 years in Aspen. 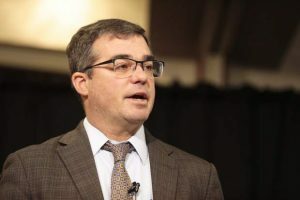 Osur said APS had more ideas that lined up with his objectives in managing parking in the downtown core, particularly the daytime valet services. APS will charge half the price of Jay’s; it cost $25 to valet a car at night before the new contract was signed. APS also plans to do valet services at the gondola beginning the week of Christmas. For $40, people can leave their car with the valet set up on Durant Avenue from 8 a.m. to 5 p.m.
Osur said if it’s popular, APS would offer the service on Fridays, Saturdays and Sundays after the holidays. “The gondola service is not a price thing but a convenience thing,” he said. The daily and nighttime valet operation will be set up where it has been in the past, in front of the Caribou Club on Hopkins Avenue. “Let’s take three or four (parking) spots for valet and turn them into 20 spots,” Osur said of asking people to valet their vehicles instead of parking them in the downtown core. APS will park the cars in the Rio Grande parking garage, which does not see capacity in the winter, Osur noted. The summer is busier and the Parking Department will have to assess how to accommodate more vehicles in the garage if the valet services becomes popular. Osur said APS will pay the city $3 for every car parked in the garage, which was the same arrangement with Jay’s. “There is no subsidy whatsoever,” he said. APS also floated ideas about subscription services and monthly passes that could be purchased in the future. The parking management company, which operates in a lot of malls around the country, also offers a variety of customized valet services to restaurants, hotels, businesses and private groups and residences in the valley.